Have you created something, and want to register it with the United States Patent Office? We’re here to help! The Patent Foundry helps inventors file solid patent applications at below-market prices! Thanks to recent changes in U.S. patent law, it’s much less expensive for individuals or “micro entities” to file patent applications. Today, anyone with a great invention can apply for the same patent rights that large companies have for years, but without breaking the bank. My fees are reasonable and they reflect my belief that it shouldn’t cost thousands of dollars just to apply for patent rights. My standard is to provide a complete patent application for a reasonable, below-market rate, and provide a more personal client experience than large law firms or online attorney referral services. This is a blue-collar patent firm for blue-collar inventors, and I’ll work as hard on your patent application as you worked on your invention in your own “foundry:” your garage, basement, work bench, or wherever your innovative process works best. I love entrepreneurs (I am one), and, again, I don’t think filing a patent application for an invention should cost a fortune. In the end, the key to gaining patent rights for a great invention should be the great invention itself. Although filing a patent application is no guarantee that your invention will be granted a patent, and the overall process can take months or years from start to finish, lower patent application fees and my below-market rates allow you to invest in your invention, which may, at long last, lead to patent rights, business ventures, or other opportunities for you in the future. We've been published! Check out our article, "Adventures in the Microverse," in the July/August 2018 issue of the American Bar Association's Landslide (Section of Intellectual Property Law) magazine! We've been published, again! Check out our article, "A Solo’s Adventures in the Patent Microverse," in the November/December 2018 issue of the American Bar Association's GPSolo (Solo, Small Firm and General Practice Division) magazine! Patents are complex, but it'll be fun to learn more about them with this card matching game. Turn over two cards on each turn to match numbers. As you match cards, you'll unlock keywords, which you can click on to learn about patents. The word patent literally means "open." In exchange for fully explaining how the invention works, an inventor that is granted a patent has a legal monopoly to the invention for around 20 years from the date of the patent application. Keyword 2 Unlocked: Patent Rights! Patents give the inventor or her assignee the exclusive right to make, use, sell, offer for sale, or import the invention into the United States during the term of the patent. Keyword 3 Unlocked: Patentable Subject Matter! For an invention to be patentable, it must be either a new and useful process (steps to create something), machine (combination of device), manufacture (a simple device), or composition of matter (a new substance like pharmaceutical), or any new and useful improvement of one of these. In order for an invention to be patentable, it must be new. That is, your invention must not have been patented by someone else already. In order for an invention to be patentable, it must not be obvious. Even if there is not an existing patent for your invention, if it would have been obvious to someone skilled in the art to combine two or more existing patented inventions to create your invention, that may make your invention unpatentable. In order for an invention to be patentable, it must be useful, which means it must accomplish some task, even if it does so crudely. Basically, the invention has to work. In order for an invention to get a patent for an invention, the inventor (with the help of her patent attorney) must fully disclose and explain the invention in the patent application so that someone else skilled in the art (that is, in the technological field related to the invention) would be enabled to reproduce the invention. The point of this, and the point of patents, is to help science and technology progress by learning how new inventions work. Sometimes this leads to improvements on existing inventions or completely new ones. Keyword 8 Unlocked: Reduction to Practice! One of the most important, and possibly most tricky, requirements to receive a patent is that the invention must be reduced to practice. This means that mere ideas can't be patented. In other words, if you have a great idea, it's not enough to get a patent, and you should develop/convert/distill your idea into a physical apparatus (there are limited exceptions to this). Keyword 9 Unlocked: Patent Types! There are three types of patents: utility, design, and plant. A utility patent describes a device that completes a task, a design patent protection an invention of ornamental nature, and a plant patent seeks to protect a newly created kind of plant. Keyword 10 Unlocked: Prior Art! If someone else has used, sold, offered for sale, or made a publication about an invention within a certain time period before a patent application, it may prevent a patent from being granted. This includes if the inventor herself was the one using or publishing the invention! Keyword 11 Unlocked: Micro Entity! A person, small business, or non-profit that may qualify for a special fee status for patent applications. Recent changes to patent law and rules have greatly lowered the fees for micro entities to file patent applications. Now individual inventors can file patent applications for literally thousands of dollars less than just a few years ago. Keyword 12 Unlocked: The Patent Foundry! A patent law firm providing low-cost, yet high quality, patent applications for creative inventors and entrepreneurs. Patents grant you the right to prevent others from making, using, selling or importing your invention, and give you a way to possibly sell or license your invention. This is a small patent law firm that helps individual inventors and small businesses file for patent protection for their inventions at lower costs. Smart contracts and decentralized applications (dApps) leverage computer code, digital currency, and the decentralized, tamperproof, and secure advantages of the blockchain to automate your enterprise's financial and legal transactions while minimizing counterparty risk. Tax credits are available for motion pictures, television series, music, and digital content produced in states such as Georgia. We can help you navigate this process so that more revenue goes to supporting talent and their craft, and more production and jobs come to states that support the arts. 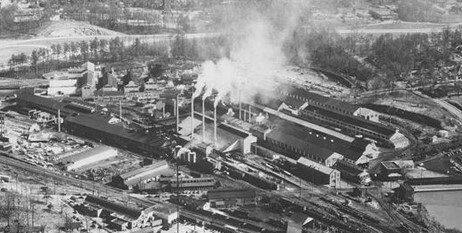 Our firm was first dreamed up at Atlantic Station, which was built on the site of the old Atlanta Steel Company, founded in 1901 as the first steel mill in the State of Georgia. 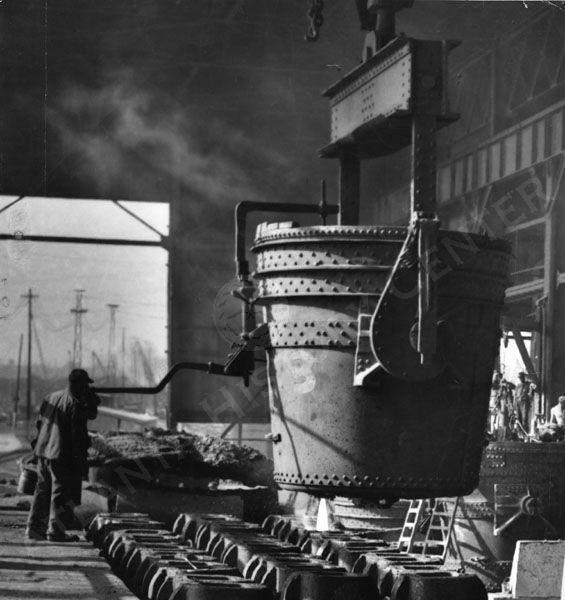 Just as the steel mill heated raw iron to burn out impurities to make solid steel beams, cotton bale ties, and barrel hoops, The Patent Foundry works with you to refine your inventions into solid patent applications and patent rights. Patent applications take sweat, patience, and hours of heavy lifting, but the reward for withstanding the heat could be patent protection for your invention, the product of all your intellectual energy. This website is an advertisement for legal services. The content of this website is not legal advice. Use of this website does not create an attorney-client relationship, and any information you submit through this website may not be protected by attorney-client privilege. If you're reading this disclaimer, good for you: sadly, most people don't read the fine print!